Easy to attach and use, this multicolored paddle leash is also easy to see. Simple flat cordlocks secure the ends around the paddle shaft on one end and any suitable deck fitting on the other. It also includes a nylon clip which allows it to easily clip into a deck loop or deck line. 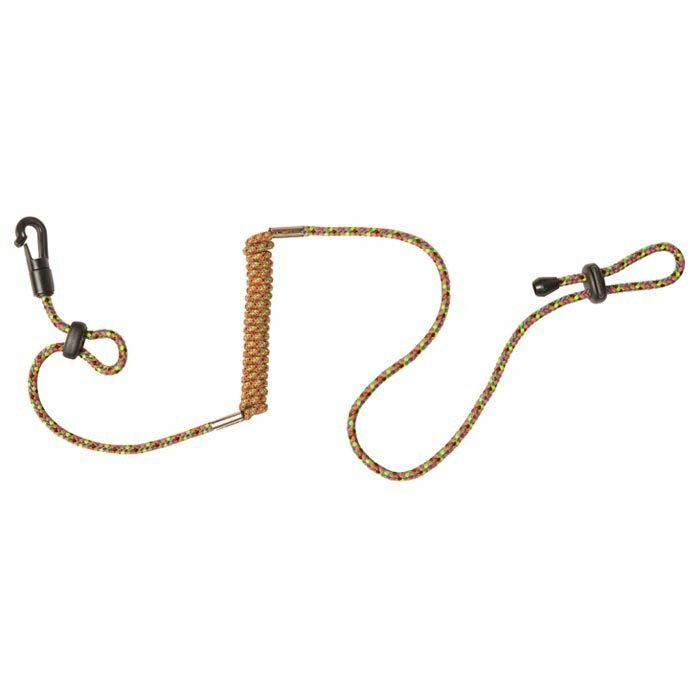 The coiled elastic (shockcorded) section of this paddle leash allows the overall leash to be much shorter than most traditional ones, keeping excess loose line from dangling across the deck and into the water. Stretches to 65". Weighs less than 1 oz.